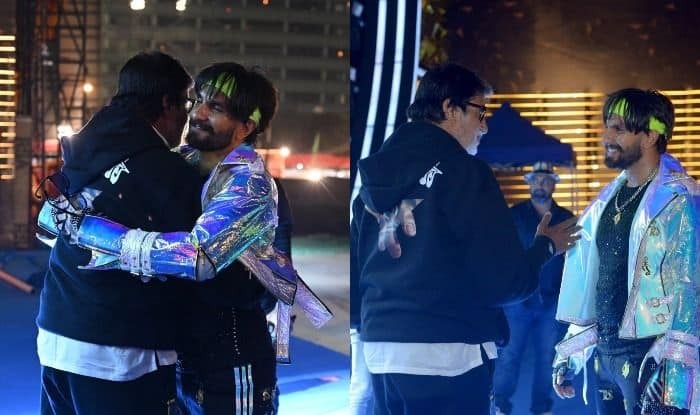 Megastar Amitabh Bachchan has praised actor Ranveer Singh for carrying retro fashion with great panache and called him a superstar. The 76-year-old thespian on Friday re-tweeted a photograph of himself wearing sunglasses from the 70s era. “Never ever get rid of your old sun glares (I did). All of them repeat in time. This picture was in the 1970s and I see many similar glares in fashion now. Particularly on my dear friend and superstar Ranveer Singh!” Amitabh tweeted. On the work front, Amitabh will next be seen in fantasy trilogy Brahmastra directed by Ayan Mukerji and produced by Karan Johar. It also features Ranbir Kapoor and Alia Bhatt. Ranveer, who is riding high on the success of his latest film Gully Boy, will be seen in Karan Johar’s Takht.